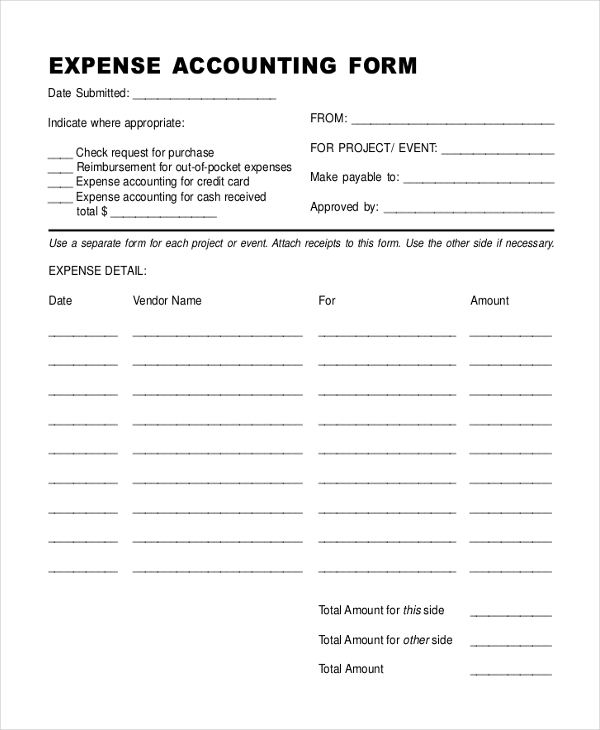 Any company who wants to record their expenses made on various projects by their employees can download this Absolute Accounting Expense form templates. Just customize the content, print, and use. 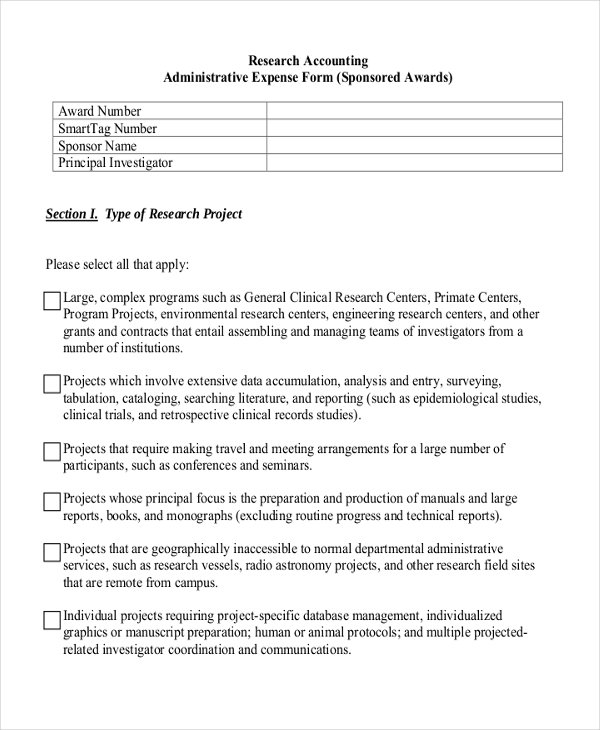 Any university or institute can download this Research Accounting Expense Claim form template for using it as claim form against the expense made for a project funding. Just after customization. 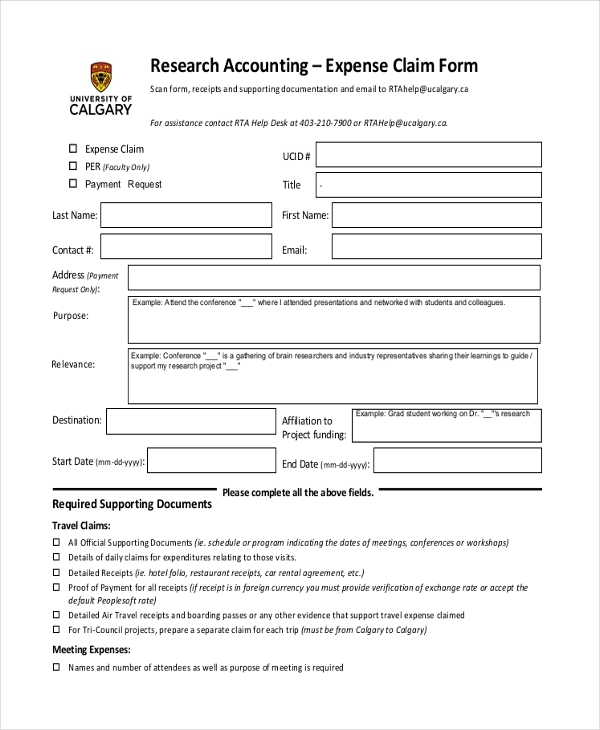 The accounts department of any University can download this Business Expense Reimbursement Claim form template for recording any expense made by their employees or students on some projects. Edit and use. 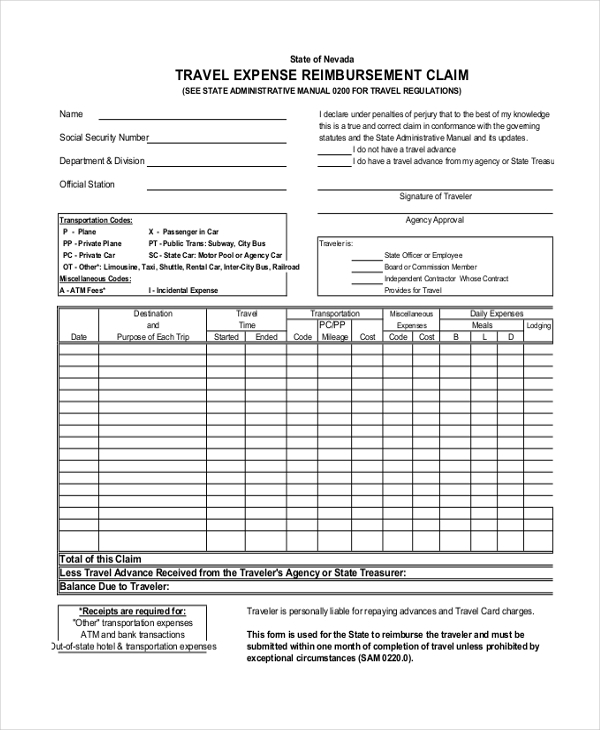 Travel Expense Reimbursement Claim form template is designed for the accounts department of those companies, where the employees need to travel on business and show the expenses. Customize to use. 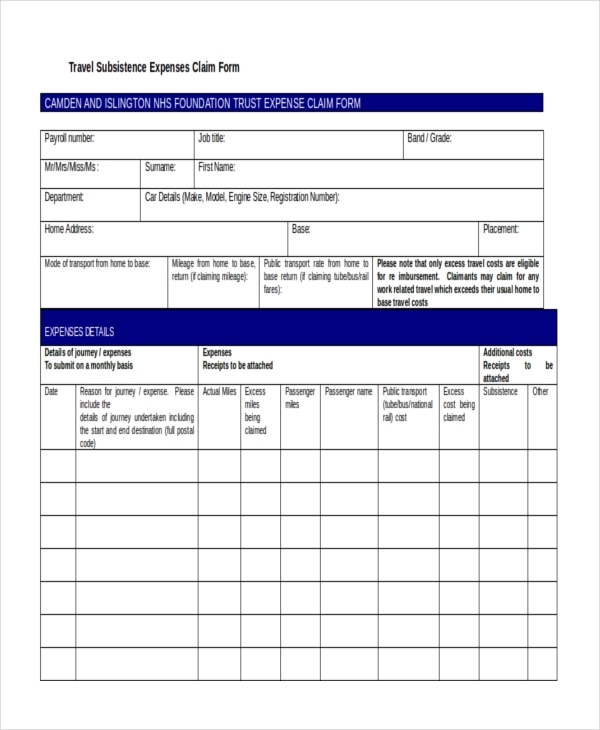 Companies having outstation projects should definitely download Travel and Subsistence Expense claim form template for use by their employees in showing their expense to the accounts department. Edit and print. For recording the expense made by the University staff in the administration of the college, this accounting Administrative Expense Form is a must download. Edit the content and then print. 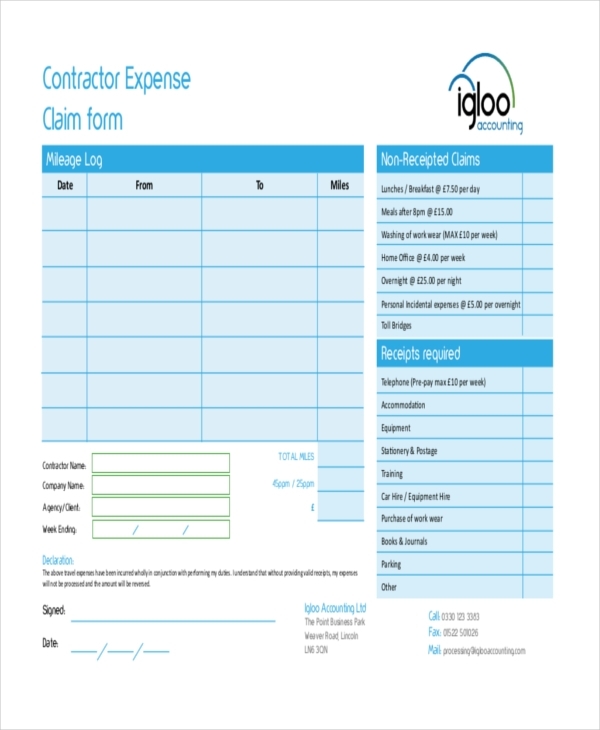 Any accounts section of a company can use this Contractor Expense Accounting form template for using it as expense sheet concerning various contract-related expense. Content can be customized for use. 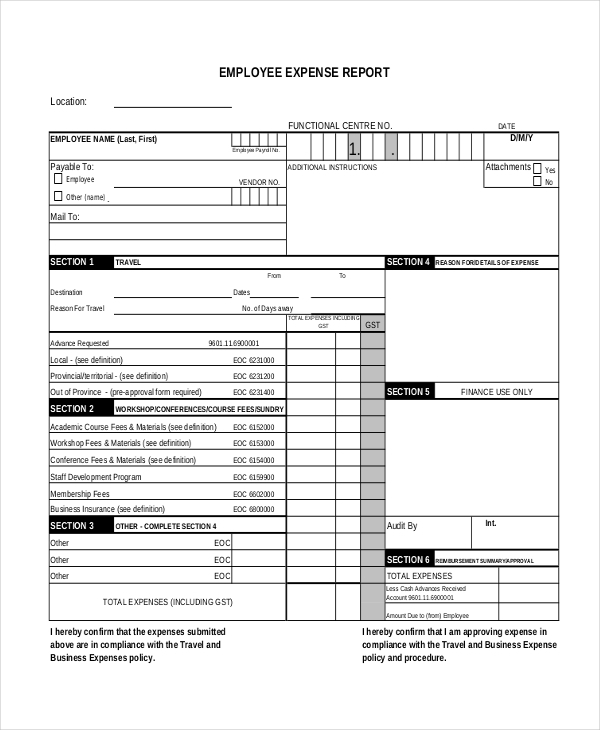 All corporate companies who wants to record the expense made towards travel and business expenses can download this Employee Expense Accounting Report Form template. The template can be customized fully. Usage of Accounting Expense Forms? For every accounting year, the operational activities of a company where cost is incurred and expenses are made, a proper record in the form of expense sheets must be maintained. This is done for the accounting benefit of that company so that the reason and numbers showing the outflow of cash can be kept in the accounts book. Anyone who pays for expenses relating to the company can use this expense sheet, to get the amount reimbursed from the accounts department. The Accounting Expense Form templates in our collection are extremely useful for this purpose. Target audience or Benefits of Accounting Expense Forms? 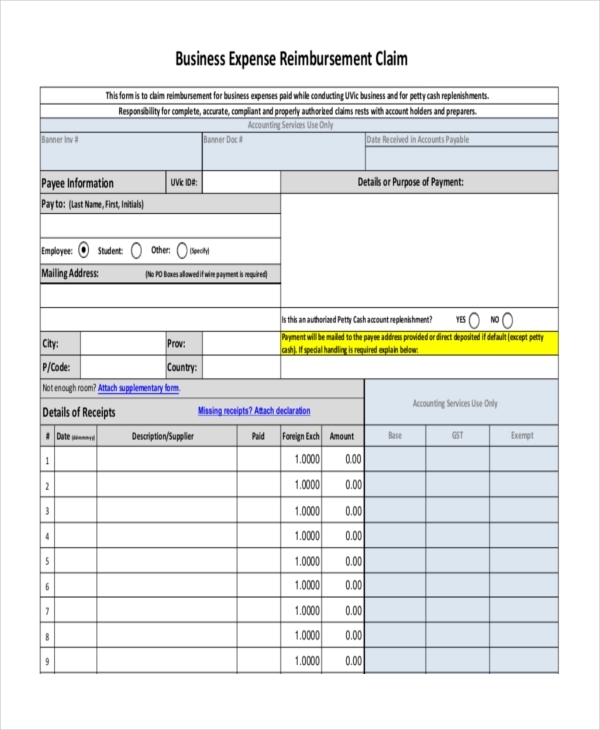 Any account department of a small or big company can use these Accounting Expense Forms for recording the expenses made by the company and its employees towards a particular job or project. Accounts department of colleges, schools, and university may even use them. The templates are mostly available in PDF format and have all the necessary heads required under the expense sheets meant for various occasions. The accounting records can be made accurate by using these templates and recording the utility of the money used for various expenses by the company. You may also see Sample Basic Accounting Forms. These Accounting Expenses Form templates are 100% customizable, and the entire content can be edited as per your requirement. The experts from the industry are responsible for the professional designing of these templates. By browsing through our collection, you can find the most suited template for recording the expenses made.